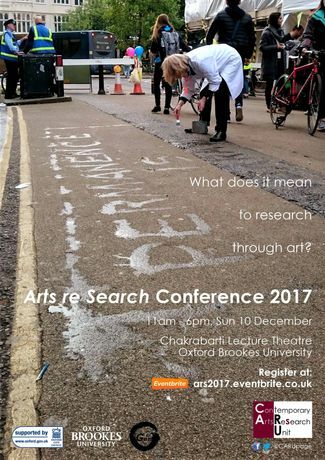 CARU brings together artists and researchers for yet another day of cross-disciplinary exploration into arts research! The event will consist of an exciting mixture of talks and performances from a variety of creative and academic disciplines, including Fine Art, Live Art, Social Practice, Art History, Anthropology, Education, Science and Technology, to question and debate various areas of arts research, such as themes, material/form, documentation and practice methodology. The presentation will explore research in art at the interface to other epistemological systems and approaches. 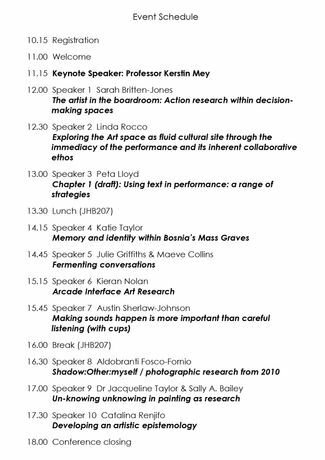 Drawing on case studies, it will explore key strategies and tactical manoeuvres of knowledge making in order to explore the hermeneutics of practice led inquiry in the space of art. 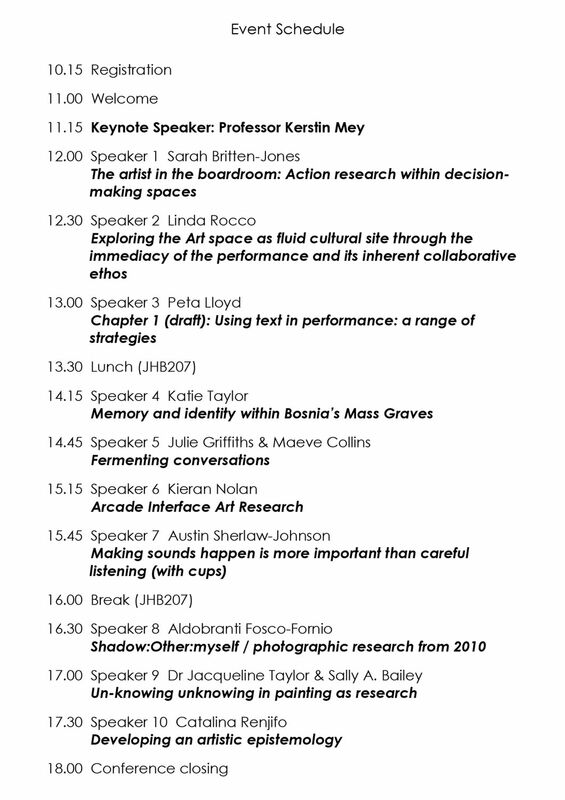 "The artist in the boardroom: Action research within decision-making spaces"
"Exploring the Art space as fluid cultural site through the immediacy of the performance and its inherent collaborative ethos"
"Chapter 1 (draft): Using text in performance: a range of strategies"
"Memory and identity within Bosnia’s Mass Graves"
"Making sounds happen is more important than careful listening (with cups)"
"Shadow:Other:myself / photographic research from 2010"
"Un-knowing unknowing in painting as research"